Dynamo International – Street Workers Network | A look back on Dynamo France’s launch day ! Dynamo France is officially on ! The brand new French social street workers platform celebrated its official launch, in Paris, this last February 21st of 2019. In attendance of representatives from the 9 organizations that take part in this new network but also before French and international social street work experts, the launch day was a great opportunity to debate and introduce the organization’s future activities. Dynamo France is an organization that gathers individuals but also institutionnal stakeholders (social workers, researchers, doctors, psychologists, volunteers…) working with young people and/or adults in street situation. 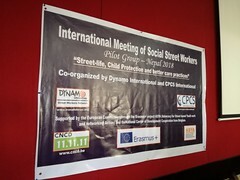 The organization is also part of the Dynamo International Street Workers Network (DISWN), that brings together 51 national platforms from 4 continents. Founded by the Federation of the Actors of Solidarity in Ile-de-France, by the National Committee for the Liaison of specialized prevention stakeholders (the CNLAPS in French) and by 3 local organizations (Action Jeunesse Pessac, Atmosphères de Rue, Aurore et Charonne-Opelia), Dynamo France is replacing the former French social street work platform that was supported by the CNLAPS. The new platform mostly aims to be a more powerful advocacy tool in favor of people in street situation and their rights. The network will also be useful to share good practices, experiences, and technics. Moreover, it will be a promotionnal support for social street work and wishes to demonstrate how important it is to a larger audience (professionnals, institutions, citizens). “Practices and uses of the street : various stakeholders, one shared ethic?” was the main topic chosen for this launch day. It started with an introduction to Dynamo International and its French platform’s history from its connexion with the CNLAPS, until its very recent constitution as an independent organization. The morning went on with a reflection on the perpectives of law and ethic as common areas of action and analysis for all people working in the streets, regardless of their fields/target audience. 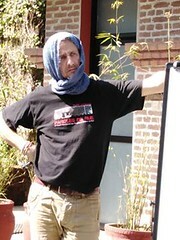 The debate was driven by Jacques Toubon’s intervention, as the Rights Defender (a French political position created to make sure everyone’s rights are fully respected), and led to workshops and a round table on ethical questions in work practices. The afternoon for its part was dedicated to a round table on the challenges implied by an increasing collaboration between social monitoring and specialized prevention. The debate underlined the changes that affect both fields : massification and diversification of the target audience, reconfiguration of the communities in geography, increasing recognition by public authorities that implies requests on space management and monitoring activity… Many changes that make very important a good collaboration between professionals. In total, more than 110 guests came from 17 departments accross the country (and even from abroad since Siaka Coulibaly, the Senegalese platform’s coordinator was there too !) in order to be part of this launch day. The crowd included social patrol teams, specialized prevention teams, people working in the street with a focus on reduction of risks, health, or psychiatry. Some of the participants were also working in the accomodation sector or in professional intergration and showed a real interest for the possible connection to establish with social street work. The inauguration also helped shaping a clear vision of the activities to come and the major axes for reflection. Workers’ training, tools to be set up, future partnerships and communication are the main challenges that the new organization will have to face in order to achieve its main goal : help people in street situation.